When it comes to equal representation in merchandise, the absence of Daisy Ridley’s Rey in Star Wars toys is a last year is a notable example of how geeky merch oftentimes excludes female characters in favor of male ones. Our own Keisha spoke to the Star Wars Hasbro team about #WheresRey, and they explained that their efforts to avoid spoilers meant there was an unfortunate lack of female representation in their toys–something that they’re now aware of and hope to amend in the future. Considering that Rey merchandise sold well and the abundance of Rogue One’s Jyn merchandise, it seems like things are gradually getting better, though Jessica broke down that it’s important to point out we should have more representation not only because boys can play with girl figurines, but also because girls play with Star Wars toys as well. In an interview with Collider’s Steve Weintraub, Ridley mentions she recently attended a meeting about merchandise and describes her reaction when #WheresRey began. Can we just pause appreciate how supportive this team is with Abrams speaking up and Boyega writing what was no doubt a strongly worded letter? (Boyega, is indeed a “toy person” and you should watch this clip of him making a toy store stop on his birthday to make sure it has enough Finn figures.) Ridley, of course, is referencing the Star Wars Monopoly set that excluded Rey which Abrams called “preposterous and wrong.” Hasbro eventually amended this and included her in the game. Ridley recognizes the significance of her role and how much it’ll influence young girls. 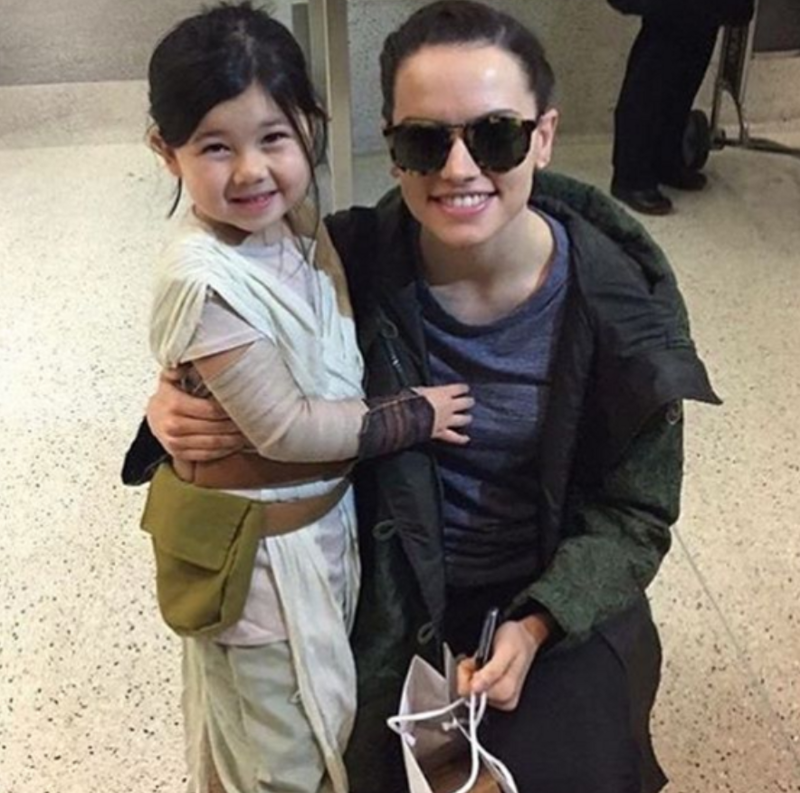 It’s moving to see her also get a bit teared up, which is also our go-to reaction when we see images of Ridley with mini-Reys. You can read the full interview over at Collider.